This wasn’t exactly the vision I had in mind. Most things in the real life of parenting aren’t, but this almost seemed insane. My feet were soaked. My bones were cold. Here we were, grown adults, sitting in a downpour, huddled under umbrellas maybe. Some were just in coats. Then you looked at the children! The children were running around in the rain, feet splashing along, shoes getting more and more wet with each step. Their hair was matted to their heads. Unlike their parents, however, they were having a grand time. This is spring soccer in Utah. And that is just one aspect of spring soccer. We can have bright, hot sun at Saturday’s game and a snowstorm during Tuesday’s game. We experience the full spectrum of the seasons during our soccer game experience. Fall soccer is usually more mild overall, but still offers a full range of weather. 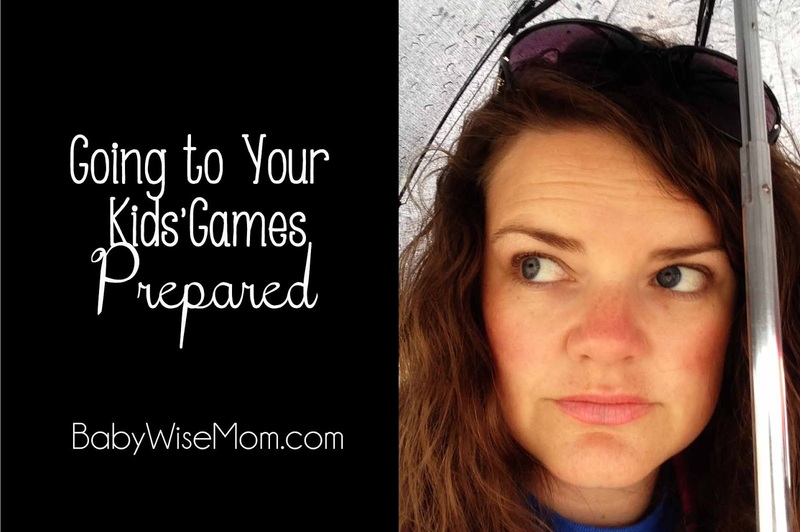 As a novice spectator, you spend your games pretty cold or hot. You go home and take 3 hours to defrost or you go home suburnt. It is always an adventure. As you attend these games and look around, you start to notice something. There is a handful of people who come and go from the games unscathed. These people are pros. It is obviously not their first soccer season as a spectator. These people are prepared. We have been soccer spectators as parents for seven years now. I think we have finally figured out the best of the best for spectator equipment at games. We really solidified this after Kaitlyn joined a competative soccer team. That’s when you get your best schooling. Suddenly, soccer runs spring through fall, not spring and fall. If we thought an 80 degree noon game in April was hot…oh just enter the July tournament when the days are at 100 degrees. 20 degrees can make a big difference. When you see 90% of the parents watching these competitive games have the same types of items to protect themselves, you know they are legit. This is what we use to protect ourselves while watching outdoor sports. This post contains affiliate links. The Sport-Brella Umbrella is everything it is cracked up to be. You can have it tipped (as shown in the picture. When it is this way, we can fit my husband and me in front. We can also fit 2-3 kids sitting in the back of it on their small camp chairs. This works well for the storms–from rain to wind to snow. It can also work well for just a sunny day. You can also leave it up just as an umbrella. This way works well for sticking in the ground and giving yourself some shade. This is the number one most common item parents have who watch sporting events outside. I was a little hesitant at first to get this just because it is about $50. That isn’t a TON of money, but a lot for an umbrella! It has been handy in many cases, though. We have taken it to the water park, to parades, to countless games, camping, to the beach…once you have it, it is very handy in your life. We used to use our Quik Shade before getting the Sport-Brella. The Sport-Brella protects better, is easier to carry around, and can be set up by one person. Definitely better. If you get an umbrella, then you will like an umbrella stand. It helps get the umbrella solid in the ground. It is especially helpful in dry months because the ground is much harder. We keep a few blankets in our vehicle at all times in case of emergencies. Blankets are very helpful for those cold games! You might also find something like an Outdoor Blanket handy. This is a weather proof blanket for putting under you. It can be nice for sitting on damp or dirty ground. Outdoor blankets are easy to clean. We use our outdoor blanket more at the park or beach than at sports games, but we always have it in our vehicle and pull it out when the need arises. You will want to have some chairs to sit on. We always just use our camp chairs. 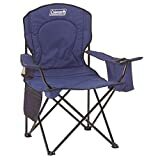 We can use these camping, at a myriad of sporting events, swim meets, in the yard, at parades, at fireworks…We like these chairs best and it is the type of chair I see way more than any other. I think most people camp around here, so people tend to own them already. They fold up compactly and are easy to port around. Sunscreen is wise to have on hand whenever you are out in the sun. Of course it is best applied before you leave home, but better late than never. coats, winter coats, wind breakers….He a long-sleeved shirt on, a sweat shirt…keep your shoes appropriate for the weather. Hats and gloves might be necessary. For my players, if it is a cold day, I really like Under Armour under the jersey. It helps keep them dry and warm. It wicks moisture away and dries quickly. In the heat, a simple squirt bottle can go a long way. You can cool your players and spectators down with a nice spritz. Very little is more annoying than a thirsty child. Oh the whining! Of course we usually think to bring water for the player. Bring water for the spectators, too! If not, you will either be giving your player’s water to the other children or listening to some incessant complaining. We don’t do “all day snacking” at our house. We actually rarely snack at all. I am all for having snacks at games, though. It keeps kids happy while sitting and watching a sport they have little interest watching. If the game will be in a location that allows it, bring along extra balls for your other children to play with. Just know, odds are you will one day lose a ball. We lost two basketballs this past season even with our name and phone number on the balls. A game gets over and people just pick up balls and go. You have to be willing to take that risk if you take a ball. Your payoff is entertained children. If your child is on a team that has parents bring treats (which I really don’t love, but it is the reality of life), I have found it to be wise to just put some treats in your vehicle at the beginning of the season. It is no fun to arrive at a game and realize it was your day to bring treats. We have also had situations where the person whose turn it is forgot and we have had our treats on hand to pass out for them. Love these ideas! I just saw this half tent thing at Costco: http://m.costco.com/Lightspeed-OutdoorsÂ®-Quick-Shelter.product.100234011.html?catalogId=10701&keyword=Quick+shelter&langId=-1&storeId=10301How do you think this would compare to the sport-brella? We need to get something! That looks like it would do the job. It looks like it is more shallow than the sportbrella–hard to tell for sure but it looks that way. I would also wonder how long it takes to set up since it looks like it is set up like a tent. The sportbrella is set up like an umbrella–so it is very fast. Also, the sportbrella can double as a huge umbrella, which is nice at times. Great thoughts, thanks for getting back to me!